By this point, you’ve probably heard that Lady Bird director Greta Gerwig — whose depiction of being a teenager in the early 2000s is downright brilliant — was so insistent on including certain songs in the film that she sent handwritten letters to Alanis Morissette, Justin Timberlake and Dave Matthews to ask for permission to use their music. But while we’ve been obsessing over the perfect inclusion of “Hand in my Pocket”, “Cry Me a River”, and most importantly, “Crash into Me” in Lady Bird, we’ve been sleeping on the criminally brilliant soundtrack that accompanies Lady Bird. The Official Lady Bird Soundtrack was scored by Jon Brion — who has also scored Eternal Sunshine of the Spotless Mind, Magnolia, and Trainwreck — and is for anyone who has ever thought about the soundtrack to their own life, even for a second. Chances are, you weren’t paying attention to the score when you saw the film in theaters, but maybe that’s because the music is understated and present in a way that seamlessly accompanies each scene, fully immersing us in the experience. 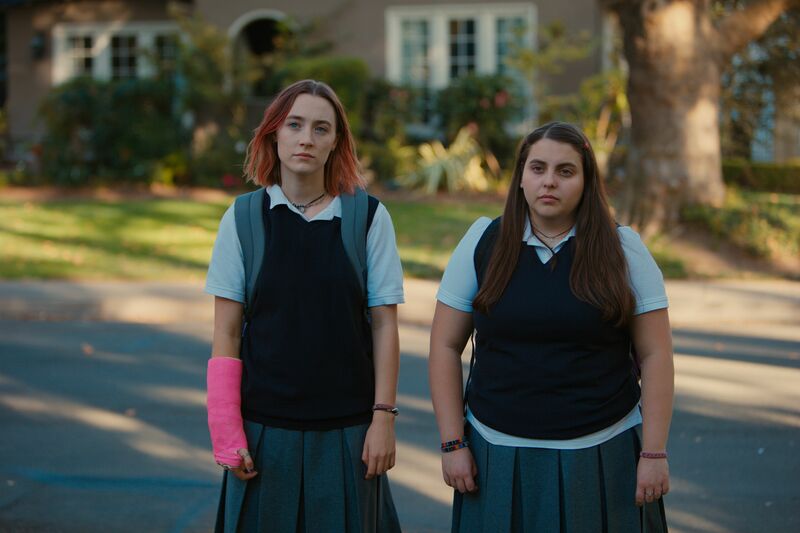 Whether we’re watching Lady Bird sign up for the school play, (spoiler) stealing her math teacher’s grade-book, or leaving Sacramento in the middle of a fight with her mom, the airy score beautifully captures the seemingly mundane moments and adds an extra bit of magic. This is all to say: You need to be listening to the Lady Bird soundtrack, like, yesterday! So how does one come to find this brilliant musical achievement? Luckily, you don’t have to necessarily return to your local theater to check out the soundtrack — but you should still go see Lady Bird again. The soundtrack is now available for streaming and purchase, so you can find it in the iTunes store, on Amazon, Spotify, and even Tidal. It seems the world really is your oyster. And since this is the perfect indie coming-of-age soundtrack, you can even listen to it as you search the best place to find said soundtrack, like say in an article just like this! So next time you’re heading to the theater to see Lady Bird again or are just out for a drive, put on this soundtrack because it’s the best decision you’ll make all day. Lady Bird is currently playing in theaters across the country, and is up for four Golden Globes.